Before we deployed our very first fishing net in the Southern Ocean, we reached out to WWF-Norway to ensure that our fishing operations would have as little impact as possible on the Antarctic ecosystem. 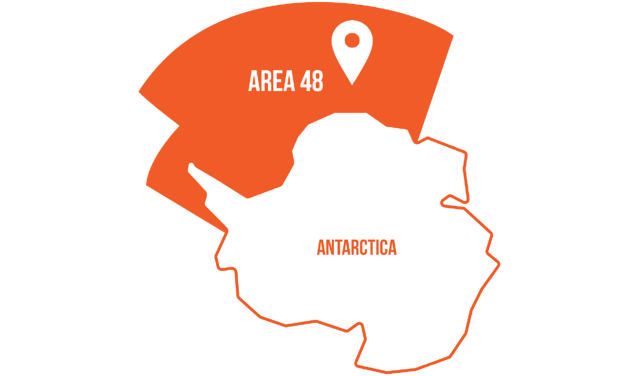 Antarctic krill is considered one of the most environmentally sound sources for marine omega-3s – but only if harvesting maintains the long-term sustainability of the Southern Ocean’s ecosystem and protects all Antarctic species. Aker BioMarine is recognized for its environmentally responsible Antarctic krill harvesting and processing. Achievements include our patented Eco-Harvesting technology that virtually eliminates by-catches, fully transparent and traceable operations, and MSC certification. In 2016, the Antarctic krill fishery, for the second year in a row, received an “A” rating by the Sustainable Fisheries Partnership for having a krill biomass that is in very good condition. We take great pride in our fully transparent Antarctic krill harvesting operation, the starting point for our products’ 100% traceability. By controlling the entire supply chain, from harvesting krill and throughout our production, we are able to guarantee the highest level of quality for our krill-derived products. Customers and end-users can rely on our ability to trace all products back to the exact location at which the krill was caught, as recorded by the sophisticated GPS system onboard our modern factory trawlers. Aker BioMarine deliver products for humans, for aquaculture and for pets.